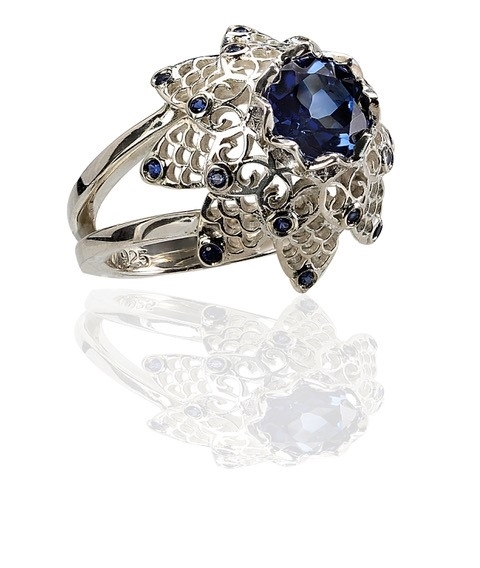 From Brenda Smith's Lace Collection, this ring is done in non-tarnishing White Sterling Silver with lab created Blue Sapphires. The center gemstone is 7mm, 1.64ctw with an additional 0.64ctw Sapphires as accents. Size 7. Can be re-sized.